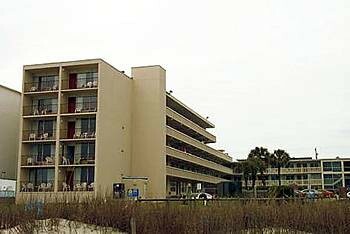 Property Location The Oceanfront Viking Motel is centrally located in Myrtle Beach, walking distance from Midway Park and close to Family Kingdom Amusement Park. This beach motel is within close proximity of Art Museum of Myrtle Beach and Mount Atlanticus Miniature Golf.Rooms Make yourself at home in one of the 75 air-conditioned rooms featuring kitchens. Cable television is provided for your entertainment. Conveniences include refrigerators, housekeeping is provided daily, and irons/ironing boards can be requested.Rec, Spa, Premium Amenities Enjoy the recreation opportunities such as an outdoor pool or make use of other amenities including a picnic area.Business, Other Amenities Featured amenities include laundry facilities and an elevator (lift).